IMPORTANT: Students must turn in a scholarship application by March 1 each year in order to be considered for non-renewable scholarships. This deadline applies to scholarships made directly from the University or from outside sources. Generally, full-time enrollment is required to receive a scholarship. Unless otherwise stated in a student’s initial award letter, scholarships are non-renewable. The criteria for New Freshmen Scholarships at FMU includes admittance to the University for the upcoming fall semester, a score of 1160 or higher on the SAT (Evidence-Based Reading & Writing and Math) or 24 or higher ACT Composite, and a high school GPA of 3.0 or higher. Students meeting those requirements qualify for any of the University academic awards. The deadline for academic scholarships excluding the McNair Scholarship is March 15, 2019. Students should be accepted to the University by March 15, 2019 to be considered for academic scholarships. All students who meet the criteria for academic scholarships are invited to attend a Scholarship Interview Day on campus during Spring 2019. Please note: The McNair Scholarship deadline is December 3, 2018. Finalists for the McNair Scholarship will be notified in December and participate in interviews in January. All other academic awards will be made during the Spring following on-campus interviews. Distinction Scholarships will be awarded automatically after admission. Out-of-state students receiving any FMU academic scholarship totaling $500 or more per semester, will automatically receive the in-state tuition rates. Francis Marion University’s prestigious Robert E. McNair Scholarship recognizes South Carolina students who have demonstrated both academic excellence and a strong desire for a life of public service. It is named after former South Carolina Governor Robert E. McNair, whose career serves as an exemplar for scholarship recipients. 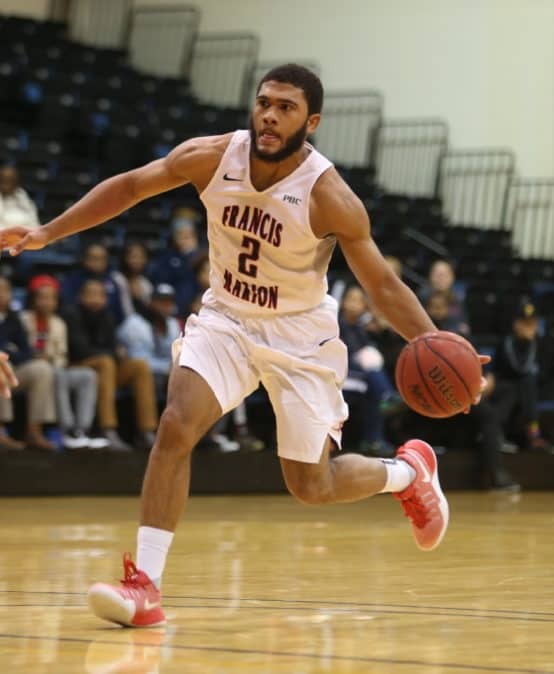 The McNair Scholarship is FMU’s most prestigious scholarship. Recipients receive a virtually cost-free education at one of the state’s best public universities, gain access to an array of experiences designed to broaden and enrich their lives, and join the ranks of McNair alumni, a growing band who are making their mark across South Carolina and beyond. The McNair Scholarship is a competitive scholarship that identifies recipients through a comprehensive process. The selection criteria includes written essays, evaluation of a student’s academic records, recommendations and in-person interviews. Deliver a completed McNair application and all additional required materials (essays, two letters of recommendation) to the Director of the Robert E. McNair Center by December 1. 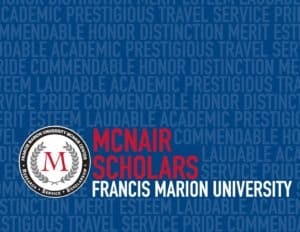 Clearly this scholarship contributes to your own intellectual growth as an FMU student, but being a McNair Scholar will also put you in a leadership position at FMU. In what specific ways do you see yourself as a leader based upon past experiences? How do you see your leadership role evolving as part of your commitment to the University? Experiential learning is planned learning taking place outside the classroom. 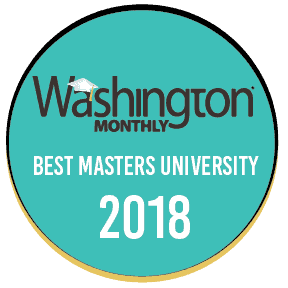 At FMU, we provide many opportunities for students to learn experientially including semester study abroad, FMU Honors, Washington Semester, internships, volunteer work, student teaching, etc. Francis Marion views this type of learning as an integral part of the overall learning experience. As a McNair Scholar you will have many opportunities to take advantage of these learning environments. Tell us about experiential learning situations that have been important to your intellectual growth. What kinds of experiential learning opportunities would you want to participate in at FMU? How would these opportunities dovetail with your career interests? If you were asked to develop a new experiential learning program/activity at FMU, what would it look like and how would it serve the FMU community? The Konduros Scholarship is among FMU’s top academic scholarships. It is awarded based upon the recommendation of faculty and student on-campus interviews. The total amount of the Konduros Scholarship is $6,000 per academic year and is renewable for 4 years. To renew the Konduros Scholarship, students must complete at least 30 semester hours each academic year in addition to maintaining at least a 3.0 cumulative GPA. Konduros Scholars also have additional cultural/interdisciplinary experiences that are required to maintain the scholarship. *Scholarship deadline for the incoming class of Fall 2019 is March 15, 2019. The Fellows Scholarship is awarded based upon the recommendation of faculty and student on-campus interviews. The annual award for the Fellows Scholarship ranges from $1,500 to $2,500. The scholarship is renewable for 4 years. To renew the Fellows Scholarship, students must complete at least 30 semester hours each academic year in addition to maintaining at least a 3.0 cumulative GPA. The Francis Marion Education Fellow scholarship is awarded based upon the recommendation of faculty and student on-campus interviews. The total amount of the Education Fellow Scholarship is $5,000. This scholarship is given to a student who is a part of the Teacher Cadet program in S.C.; however, preference is given to a student who is a part of a Teacher Cadet program sponsored by FMU. Apply for the South Carolina Teaching Fellows Scholarship. The Distinction Scholarship is a $1,000 scholarship that is automatically awarded to first-year students who have been accepted to Francis Marion University and have met our scholarship criteria. Awards will be made through March 15th for students planning to enroll at FMU for the Fall 2019 semester. The Distinction Scholarship is renewable for 4 years by completing 30 semester hours a year and maintaining a 3.0 GPA. Students awarded this scholarship are encouraged to apply for other scholarships through the Office of Admissions. If a student applies and receives one of the other scholarships, the Distinction Scholarship will be replaced and not awarded in addition to the other scholarship offered by the Office of Admissions. To be considered for a Transfer Scholarship, you must be admitted to Francis Marion University and plan to enroll for the Fall 2019. The priority deadline for this scholarship is June 1, 2019. Once the priority deadline has passed, all applications will be reviewed, and if awarded, students will be notified directly by the Office of Admissions. If you have any questions about the transfer scholarship process, please speak to Jessica Foxworth at 843-661-4692 or at jfoxworth@fmarion.edu. 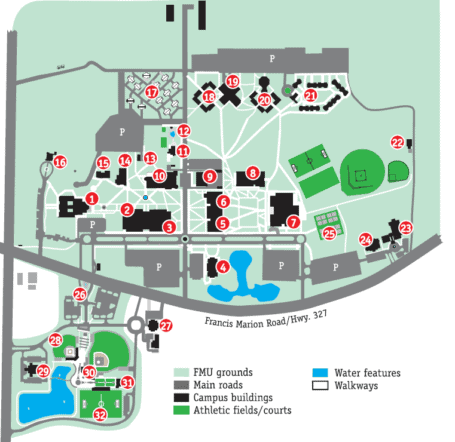 Are you admitted to FMU for Fall 2019? Did one or both of your parents graduate from FMU? One renewable $1,000 scholarship is awarded per year to members of Phi Theta Kappa Honor Society who transfer to FMU. To be considered for this scholarship, you must be admitted to FMU and plan to enroll in Fall 2019. Students must have a 3.25 cumulative GPA at the institution where they are members of Phi Theta Kappa. The scholarship is renewable each year with the completion of 30 credit hours with a 3.0 GPA. The priority deadline for this scholarship is June 1, 2019. Once the priority deadline has passed, all applications will be reviewed, and if awarded, students will be notified directly by the Office of Admissions. If you have any questions about the transfer scholarship process, please speak to Jessica Foxworth at 843-661-4692 or at jfoxworth@fmarion.edu. To be considered for a Graduate Scholarship, you must be a new graduate student admitted to Francis Marion University for Fall 2019. The priority deadline for this scholarship is June 1, 2019. Once the priority deadline has passed, all applications will be reviewed, and if awarded, students will be notified directly by the Office of Admissions. If you have any questions about the transfer scholarship process, please speak to the Admissions Office at 843-661-1231 or at graduate@fmarion.edu. Francis Marion takes pride in enrolling more than 1,200 students annually who benefit from South Carolina’s Palmetto Fellows, LIFE, and HOPE scholarships. Individual students can work with guidance counselors at their schools to apply for the state grants, but FMU counselors can assist if needed. The purpose of the LIFE Scholarship is to increase access to higher education, improve the employability of South Carolina students so as to attract business to the State, provide incentives for students to be better prepared for college, and to encourage students to graduate from college on time. THE LIFE SCHOLARSHIP IS DEPENDENT UPON THE AVAILABILITY OF FUNDS TO BE APPROPRIATED BY THE SOUTH CAROLINA LEGISLATURE. The award is contingent upon student meeting eligibility requirements when final high school transcript and/or college grades are received by FMU. What is the difference between “Life GPA” and “Cumulative grade point average”? Your Life GPA is calculated for the primary purpose for the awarding of the LIFE Scholarship. Your Life GPA includes all grades earned at any eligible institution, including courses that do not transfer and college courses taken while in high school. Again, your LIFE GPA is only used to determine LIFE Scholarship eligibility. Your LIFE GPA is not recorded on your official transcript from FMU. Your FMU cumulative grade point average is computed by dividing the total number of quality points by the total number of net hours taken at FMU. A cumulative grade point average of 2.0 or higher is required for graduation on all work attempted at FMU. In addition, a student must maintain an average of 2.0 or higher in his/her major courses in order to meet graduation requirements. Your cumulative grade point average will be reflected on your official transcript from FMU. For additional information, please refer to the Commission on Higher Education website. The purpose of the SC HOPE Scholarship program is to provide funding to students who graduate from high school with a 3.0 cumulative GPA, but are not eligible to receive the LIFE or Palmetto Fellows Scholarships. HOPE is available for the initial year of enrollment only. HOPE is not renewable. A student must meet the LIFE renewal requirements (refer to Code 12) after the initial year of enrollment to continue receiving a state funded scholarship. THE HOPE SCHOLARSHIP IS DEPENDENT UPON THE ANNUAL PROCEEDS GENERATED BY THE LOTTERY. Award is contingent upon student meeting eligibility requirements when final high school transcript is received by FMU. The purpose of the Palmetto Fellows Scholarship Program is to recognize the most academically talented high school seniors in South Carolina and encourage them to attend eligible colleges or universities in the State. Palmetto Fellows scholarship recipients are selected by the Commission on Higher Education. THE PALMETTO FELLOWS SCHOLARSHIP IS DEPENDENT UPON THE AVAILABILITY OF FUNDS TO BE APPROPRIATED BY THE SOUTH CAROLINA LEGISLATURE. Must be a LIFE or Palmetto Fellows Scholarship recipient. Must be enrolled as a full-time, degree-seeking student in a declared major that is approved by the Commission on Higher Education. Eligible majors as of 8/4/15: 106 Biology, 108 Chemistry, 109 Computer Science, 145 Math, 154 Physics, 315U Middle Education Math/Science, 501 Co-Op (exception… Pharmeceutical Studies…1st time attended college must be Fall ’13 or later), 963 Nursing, and 143 Industrial Engineering (exception…1st time attended college must be Fall ’14 or later) . Please contact the Office of Financial Assistance if you are unsure whether or not your major is Enhancement eligible. Must be making significant progress towards completion of the declared major. Must have earned credit for at least 14 hours of instruction in CHE approved mathematics and life and physical science courses by the end of the first year of college (based on initial date of college enrollment after high school). Currently, any FMU math, Computer Science, Biology, Chemistry, Engineering, Physics, or Physical Science course will count toward the 14 hour requirement. **This is subject to change at any time based on directives from CHE. Current interpretation of the new legislation precludes students from ever becoming eligible for the Enhancement scholarship if the 14 hour requirement is not met by the end of the freshman year. AP credits and dual enrollment courses (college credit courses taken while still in high school) can satisfy the 14 hour rule. The Enhancement scholarship amount is up to $2500 per year. The Enhancement scholarship is awarded in addition to the LIFE or Palmetto Fellows scholarship. The Enhancement scholarship is based upon availability of funds to be appropriated for the program. Donors and supporters of Francis Marion University provide support for more than 150 named, specialty scholarships at FMU. These awarded scholarships are available to all students, although many have specialized qualifying criteria, such as a particular field of study or specific hometown or home county. Awards vary, as do specific qualifications.